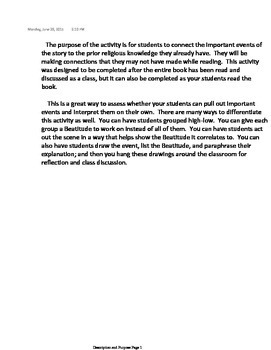 This activity lets students connect important events from The Giver to the Beatitudes. 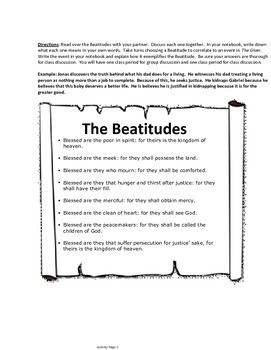 Students will read the Beatitudes and then discuss how events in the story correlate to them. It also helps them see the book from a new perspective.